Don't be FOOLED by other Pink Waxes on the market. WE ARE THE ORIGNAL MANUFACTURER OF LIQUID LUSTRE SINCE THE 1980'S THAT APPEARED ON THE INFOMERCIAL. As you have seen on may sites this is our history- CHECK US OUT BEFORE ORDERING!! DON'T GET THE IMITATION OF OUR WONDERFUL PRODUCT. Over the years, the LIQUID LUSTRE formula has been refined until today it is what every car wax manufacturer dreams of for his product. It is a ultra, easy to apply cleaner- polish that gives a rich, bright, protective finish for all automotive surfaces & more. THIS IS THE ORGINAL LIQUID LUSTRE FORMULA SINCE THE 1980'S. 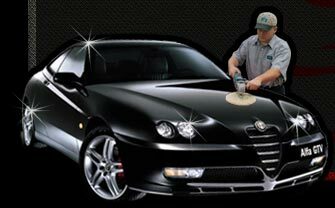 The unique formula consists of a secret blend of carnauba wax, solvents & emulsifiers, and has been continually tested, refined & enhanced over the years to remain a breast of the advances in automotive finishes,a combination cleaner & polish in one easy step. This one of a kind product is good for all automotive finishes, old and new including: base coat, clear coat, polyurethane's, acrylic lacquers, acrylic enamels, water base and oil base. contains no abrasives that damage modern paint finishes.